EMC Planning Group prepared an EIR for a proposed Sports Park and Urban Service Area Amendment. 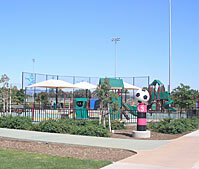 The proposed project included an Urban Service Area amendment request to the Santa Clara County LAFCO and annexation to the city of Gilroy, approval of a Park Master Plan and phased development of the sports park, and construction of off-site improvements. 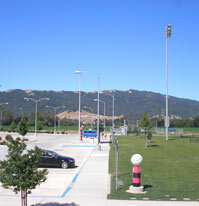 Off-site improvements included street improvements, extension of the Uvas Creek Bike Trail and extension of a recycled water distribution line. The area proposed for the Urban Service Area amendment was 133.2 acres, of which 78.4 acres was for the sports park. All of the land was in agriculture. Major issues addressed included conversion of agricultural land, hydrology and flooding, biological resources and habitat enhancement, transportation, noise and aesthetics. A vacant land analysis was prepared as part of the city’s USA amendment request to LAFCO. In preparing the vacant land analysis, EMC Planning Group established the five-year supply for relevant land uses based on past growth patterns, development approval records, and residential unit allocations. Existing vacant land for each relevant land use was determined through city records, study of aerial photographs, and field research. Land that was undeveloped or significantly under-developed based on current zoning, and for which no project approvals had been issued was considered to be vacant. Based on the available vacant land and recent development rate, EMC Planning Group projected the amount of remaining development in years for each relevant land use.